-Championship Match Among Largest eSports Event in History! Thursday, July 26, 2018: Nearly one-hundred media representatives from all over the world converged this morning at the Barclays Center in Brooklyn, New York to meet the players from the Philadelphia Fusion, the London Spitfire, their owners, the league commissioner and followers of this global craze for Media Day – just prior to the start of the championships! The Overwatch League is a professional eSports league for the popular video game Overwatch. Over 40 million gamers are playing Overwatch worldwide. Overwatch is available on PlayStation 4, Xbox One, and Windows. One of the largest eSports events in history – sold-out within days, more than 20,000 tickets sold for the finals at the Barclays Center in Brooklyn this week – Friday July 27 and Saturday, July 28. For decades the world’s top athletes competed in The Masters, various World Cup competitions, and the Olympics, among other sports tournaments! 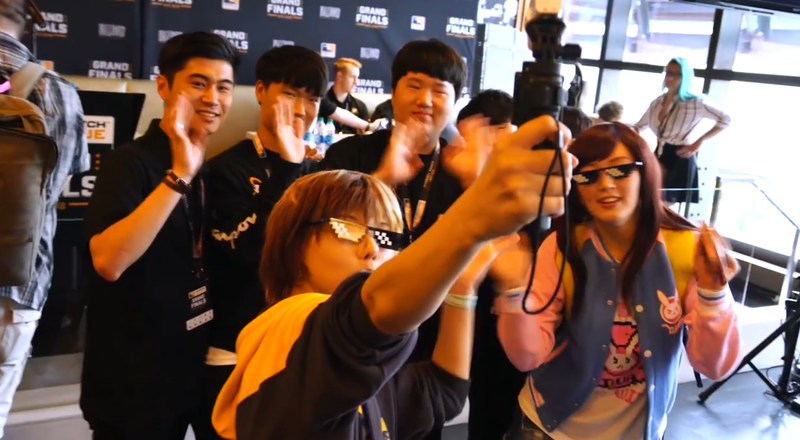 Now, with lightning fast reflexes, sharp minds, and millisecond reactions – some of the world’s most elite “e-athletes” are in the highly anticipated Overwatch League Grand Finals! The Overwatch League™ Finals are one of the largest eSports events in history which sold-out within days, with more than 20,000 tickets sold for the finals at the Barclays Center.